outh to north via canals to Paris and Le Havre, Calais, St Valery sur Somme. 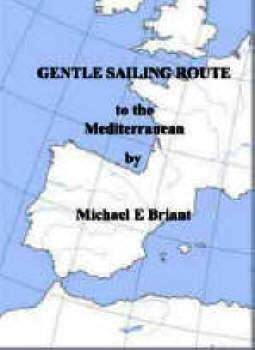 With out a doubt this is the nicest and most memorable route from the Mediterranean to the UK - I have done it in both directions and remember it as a delightful experience. 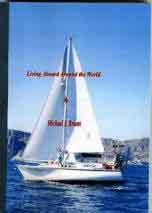 I have done the Atlantic route and found it quite hard work going to windward almost all the time. 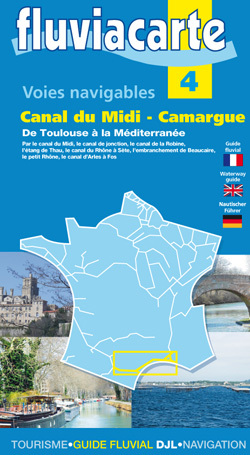 I have done the Canal du Midi route but it still leaves windward work after you get to Bordeaux. If you are heading to the UK this is the most enjoyable route by far in my experience. BEST TIME - almost any time of year is possible but IN WINTER the canals can freeze making progress impossible. There are few marinas or places with shore power so you need your own heating system in the boat. The river sections of the route can be subject to flooding in late summer or winter. Crossing the English channel in winter is really a matter of warm enough clothes and waiting for the weather but should be treated seriously - Always possible to leave the boat in France - French marinas on the channel coast are less than half the price of English marinas. There are 'charts/maps' throughout, the distances, dimensions & main stopping places and is the only publication to list ALL the possible stopping places on the Rhone River! Draft = 1.8 metres - 5ft 9inchs. Beam = 5 metres - 16ft 4inches. Height = 3.5 metres - 11ft 4 inches. 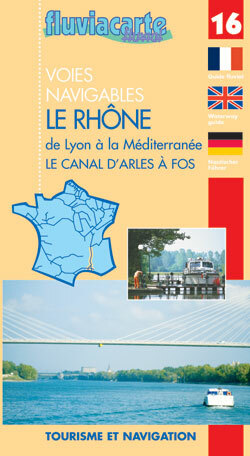 The above are for the main canals and rivers from the Mediterranean to Le Havre. 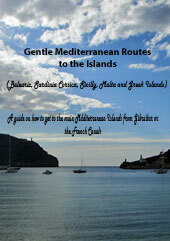 I have only listed the direct routes from the Mediterranean to the channel ports. There are many more canal cruising routes if you want to do that. Port St Louis now has a marina and all faculties. Take down your mast and get lots and lots of fenders or rubber tyres to surround you topsides and protect your hull from the rough concrete walls that you will regularly be coming alongside in locks. The tyres should touch the water.... It may be worth making a couple of X's out of wood with a bolt through to support the mast.- there are normally stacks of tyres at the cranes left by boats going the other way. Covering them in plastic rubbish bags secured with lots of sellotape and constantly renewed is helpful in keeping black marks off the hull. When you are ready to set off you lock out of the yacht basin into the Petit Rhone - at this point it is 321Km to Lyon and the end of the Rhone. 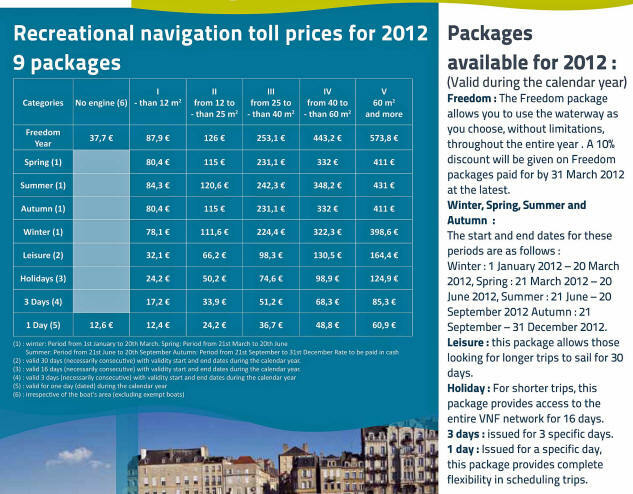 Both Arles and Avignon are well worth a visit even though they are a little off the direct route - shame to miss them. This river has been tamed by its 12 locks and generating barriers not to mention the huge nuclear power facilities. Its advertised rate is 4 knots and can be less but you go up stream slowly. The locks are vast. Moor your boat to a single floating bollard and hold very tight - if you are more or less alone in the lock the turbulence can be significant. If the Mistral is blowing conditions can be dangererous - I have turned back and returned to my mooring having shipped it green over the bows! You are in big ship territory and they are constrained by their draft. - It will probably take a minimum of 4 days to get to Lyon. A chart or pilot book is essential. 142 Km to go to Chalon where you hang a left into the smaller Canal du Centre. The river Soane is beautiful. Chalon has a big yacht harbour with all facilities H2O. Some 112km later and 61 locks later - this is about half way - at Dignon, you join the Canal Lateral a la Loire which goes to Briare - only 37 locks in 103Km in this section. At Briare you enter the Canaux du Loing (103 Km and 50 locks = 1 every 2 hours or so and each lock will take between 30 and 60 minutes depending on how long you have to wait to enter..) and head for St Mammes. At St Mammes you enter the upper reaches of the Seine. Only 7 locks in 87Km so progress is much faster. You end up in Paris - the most wonderful way to see this city - from the river Seine. There is a boat marina you can lock into right in the centre - Paris-Arsenal Marina. You can put the mast up again at Rouen in the boat yard. 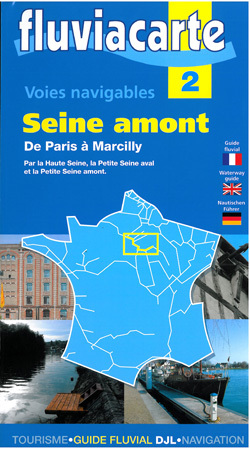 #2 = La Seine amont - Paris to St Mammes - short section and if you have another general guide you could possibly get away with that? #16 = Le Rhone which takes you to both Port St Louis and to Sete. 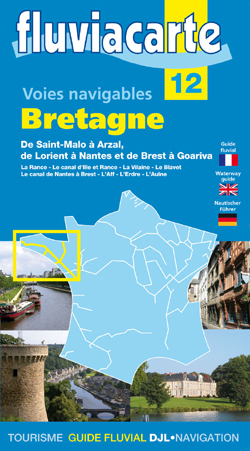 There is an option just after Paris of taking a route to St Valerie sur Somme and Abbville - you would need to buy Navicarte #24 Picardie.St Valery is situated half way between Calais and Le Havre and is another possible way of getting into the English Channel. Unlike Le Havre and Calais which can be used at any state of the tide St Valery has extensive shoals and at LW neaps will dry - you need the appropriate chart or pilot and a rising tide - having said that it is well buoyed. There is a good marina at St Valery to re-mast. The sea locks opens roughly 1 hour either side of HW and lets you out the Canal de la Somme (lots of WW1 connections and memorabilia) and into the tidal marina. For Calais + alternative to St Valerie. Follow the Rhone and Soane as indicated above but do not turn left into the Canal du Centre. Instead continue up the Soane towards St Symphorien turning left into the Canal de la Marne a la Soane for some 225 Km and 114 locks (a lock every couple of hours!) Slows you down a lot but improves your boat handling skills! From Chauny you head for Aire via the Canal de St Quentin, River Escauit, the Canal de la Sensee, the Canal de la Deule and finally the canal d'Aire.- 178 Km 42 locks and two tunnels one of just over a 1Km and the other 5.6Km - you have to be towed though this one and 'tows' are assembled twice a day in each direction and you have to pay a fee - it takes at least a couple of hours. Next is the Canal de Neufosse from Aire 18Km + 2 locks, Canal de la Colme to Watten and into the River Aa. Then You then pass through 5 automatic lifting - swing bridges and 1 lock operated by rods (VHF 10 if problems) Then into the Canal de Calais. Pontoon mooring whilst you wait for the Ecluse Canot to open and let you into Calais harbour and the marina in order to re-step your mast and dump your tyre fenders. Parking Places in the Rhone = A list of the relatively few possibilities to overnight in the Rhone. 8. 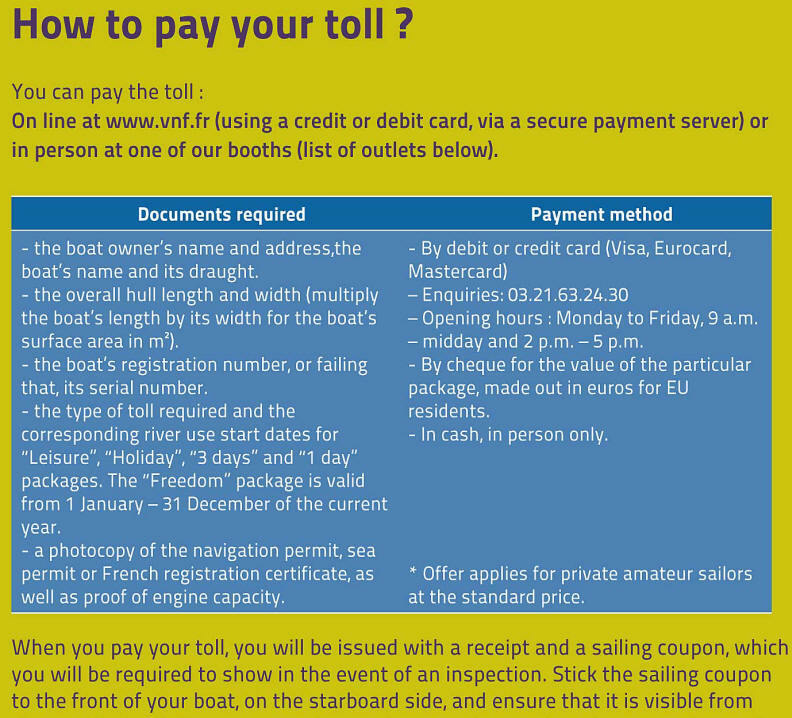 Under European (and of course French) law anyone operating a boat on the European canal system is required to have a 'boat driving license' as issued by their own country of origin. You can travel in any European river or canal with only the license issued by your own authority. Catch 22 is that the British authorities do not require you to have one! 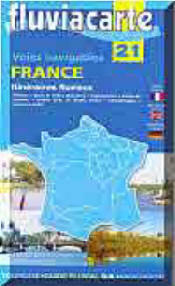 Under the new French 1991 law you need a Certificate of Competence which is issued by the RYA. You may also pass the French test - cat C for boats less than 15m and slower than 20Km/h. Many sea boats do the transit without the certificate.